Shelf Awareness brings us this report from the Frankfurt Book Fair. Bookselling worldwide is “fundamentally changing,” said Russ Grandinetti, v-p of Kindle content at Amazon, at yesterday’s Publishers Launch conference at the Frankfurt Book Fair. In 2012 in the U.S., 42% of all consumer purchases of print and digital books were made online; a year from now, more than half of all purchases of all types of books will be made online, Grandinetti said. He predicted that in two years, the U.K., which has closely followed the U.S. in digital trends, will also reach that level, and in three years “the rest of Europe” will follow. 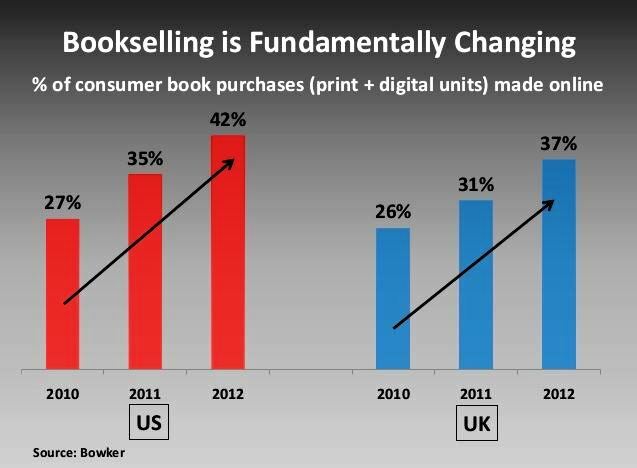 Without divulging unit or dollar sales figures, Grandinetti showed charts of the gradual growth of sales of print books by Amazon in the U.S. and U.K. with abrupt jumps in e-books after they were introduced–and in a matter of several years, surpassing print book sales. While it’s still early in other markets, he emphasized repeatedly that the trends lines in other countries where Amazon operates, including Germany, France and Japan, resemble those in the U.S. and U.K., and “there is little that makes us think things will be different.” The key elements of book digitization, customer service, customer receptiveness and people online are all in place in those markets. He also emphasized that Amazon’s growth in Germany, which has fixed book prices, has taken place without the widespread discounting that helped Amazon establish itself as a formidable book retailer in the U.S. and U.K.
Grandinetti said, too, that the growth of e-books around the world has resulted in non-English-speaking markets being the “single-largest” area for expansion for English-language publishers. So far this year, sales of English-language titles in non-English-speaking markets have surpassed last year’s levels. Conversely, sales of foreign-language titles in English-speaking countries are growing and represent an opportunity for foreign publishers. 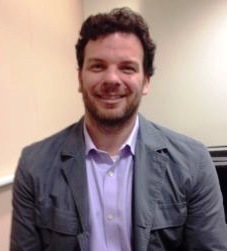 He suggested that publishers should be less concerned about piracy and more concerned about “missed opportunities” resulting from not having their titles digitized and not settling rights ownership around the world. He noted that of the top 1,000 authors in some European counties, a strikingly few have even one book digitized. These include 53% of the top 1,000 authors in Italy and 46% in Spain. 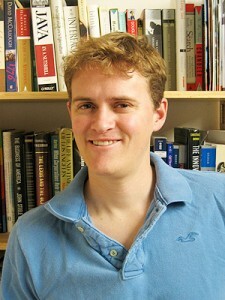 Otis Chandler, CEO and co-founder of Goodreads, didn’t directly address the company’s purchase in March by Amazon, although he said that the Goodreads’ plans to expand internationally will be helped by Amazon’s “deep databases.” As of now, Goodreads is an all-English language site, but its goal is to have a catalogue that includes every book in every language ever published. 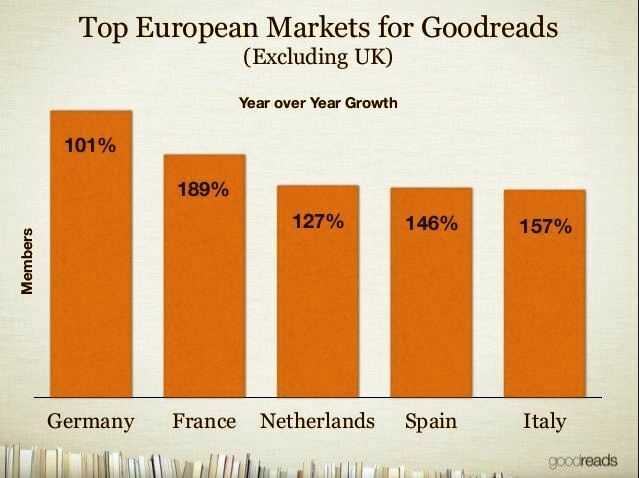 As it is, Goodreads has been doubling in size in many English-language countries outside the U.S. This fall, Chandler said, Goodreads will be built into Kindle Paperwhite reading devices and Fire tablets. He called this “a dream” he’d long had: integration with “the world’s largest platform” in a way that allows readers to interact with friends and other about books they’re reading without having to put down their books. The same issue of Shelf Awareness brings us another instance of the anti-Amazonism we all love to hear about — an interview by super-agent Andrew Wylie in The New Republic during which he says “I believe that Amazon has its print publishing business so that their behavior as a distributor of digital content can be misperceived by the Department of Justice and the publishing industry in a way that is convenient for Amazon’s bottom line.” Well, maybe. It’s always hard to resist a good conspiracy theory. And of course taking care of your bottom line is kind of what it’s all about, isn’t it?